(NaturalNews) One of the world’s most lucrative industries, spending on cancer drugs reached an all-time high last year, as it was valued at more than $100 billion. Spending on cancer drugs increased 6.5 percent annually over the past five years and is expected to continue growing at a rate of 8 percent each year through 2018, according to figures provided by the IMS Institute for Healthcare Informatics. That spending is highly concentrated, as the US and five of Europe’s largest countries account for nearly two-thirds of the entire market. This means that billions and billions of dollars are secured by Americans being diagnosed with cancer. That’s one profitable industry; however, it could all be completely dismantled by one thing: a cure. This means that anyone moving closer to developing a cure for cancer would be considered an extreme threat to the medical establishment and likely stopped at any cost. With that in mind, the mysterious deaths and disappearances of several natural health doctors throughout Florida is as suspicious as it is concerning. If anyone was close to finding a universal cure for cancer and would ensure the public had access to it, it would likely be natural health doctors, or naturopaths, as they’re less likely to prescribe drugs and more likely to try and heal the body naturally using holistic medicine and nontoxic approaches. Breakthroughs using this type of medicine are extremely “controversial,” as they threaten everything that the medical-industrial complex stands for, i.e. costly chemotherapy treatments and cancer drugs. Doctors leading this type of research are routinely raided and shut down by the U.S. Food and Drug Administration (FDA), after which they’re treated like criminals and their reputations smeared. This is typically orchestrated against doctors who are considered a threat by the medical establishment. This seems to be the case with Dr. James Jeffrey Bradstreet, who was recently found dead after his body was discovered floating in a North Carolina river with a single gunshot wound to the chest. Bradstreet, a renowned physician known for his skepticism of immunizations (particularly the MMR vaccine), and his progressive autism research, was raided by the FDA one week before his mysterious death. The details of the raid remain largely unknown. Personally affected by autism, as both his son and stepson were diagnosed with the condition, a significant portion of Dr. Bradstreet’s work was dedicated to this cause. He even testified twice before the U.S House of Representatives about the link between vaccines and autism. As Natural News‘ reported, leading up to his death, Dr. Bradstreet was working with a little-known molecule that occurs naturally in the human body. GcMAF (Globulin component Macrophage Activating Factor), which is the GC protein after it combines with vitamin D in the body, has the potential to be a universal cure for cancer. It’s also believed to be capable of treating and reversing autism, HIV, liver/kidney disease and diabetes. In an interview on the Hagmann and Hagmann Report, Dr. Ted Broer, an internationally recognized health and nutrition expert also based in Florida, describes how cutting edge Dr. Bradstreet’s work was, as well as a discovery he made that very well may have placed him in great danger and could have been the motive for his suspected murder. 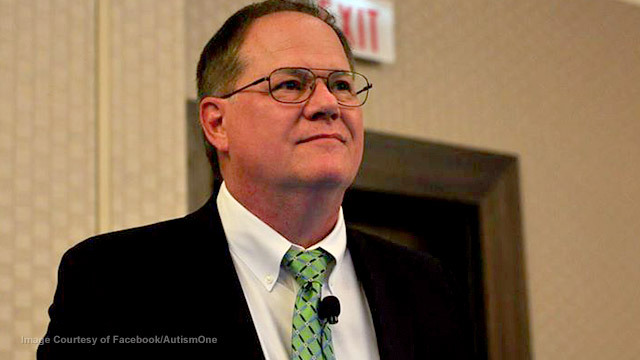 The alternative doctors who went missing and/or were killed, were reportedly “interlocked” through Dr. Bradstreet and Dr. Gonzalez’s extensive research on autism, and what’s causing autism, according to Dr. Broer. Dr. Gonzalez, a renown holistic cancer treatment pioneer who helped thousands overcome the disease through alternative medicine, died of an apparent heart attack just one month after Dr. Bradstreet’s body was discovered floating in a river. This information I’m about to give you right now is extremely controversial and a bunch of people have exited the planet who were working with it. This information has been around for awhile. They knew the information they were working with and they were basically being very, very careful, supposedly. And some of them were being accused of using GcMAF, and the FDA apparently raided several of their offices several weeks before they committed suicide or suddenly died. It’s going to sound complicated, but I’m going to break this down for everybody super, super easy tonight. When you first hear these terms they’re going to sound weird to you. GC protein is a protein in the body that’s used by macrophages in the body. What it does is, macrophages in the body are the ones that kill cancer cells, they stop cytokines storms and can be involved in cytokines storms, we’ll explain all these terms in a few minutes. Nagalase is an enzyme/protein that’s made by cancer cells and viruses causing immunodeficiency syndromes and has also been linked to autism as well as a “host of other problems,” Dr. Broer explains. Some of the doctors who wound up dead or missing believed that the nagalase protein/enzyme was being introduced intentionally into the body either virally or directly through vaccines. “This is such incredibly damning information to the entire medical profession and the immunological profession and those folks that [sic] are producing immunizations, that apparently they didn’t want these guys around,” Dr. Broer said. Nagalese blocks the GC protein from attaching itself to vitamin D, thus preventing the immune system from doing its job and therefore causing cancer and other serious diseases. Without an active immune system, cancer and viral infections can spread rapidly. Nagalase is like a stealth bomber, the nagalase enzyme synthesized in or released from cancer cells or a virus particle pinpoints the GcMAF protein facilities on the surface of your T and B lymphocytes and simply wipes them out with an incredibly precise bomb. This is like selectively taking out a park bench in a major city from 6,000 miles away. More astonishingly, if that is possible, nagalase never misses its target, so there is no collateral damage. Dr. Bradstreet and his colleagues also learned that the nagalase protein was not present in children at birth but was somehow introduced into autistic children, they felt, during the immunization process. Before his death, Dr. Bradstreet treated 1,100 patients with GcMAF with an 85 percent response rate – something that was deemed impossible by the medical community. After reintroducing GcMAF (which had been blocked by nagalase), 15 percent of Bradstreet’s autistic patients were no longer autistic, as all of their symptoms were completely eradicated. Since 1990, 59 research papers have been published on the healing effects of GcMAF, 20 of which pertain to the treatment of cancer. Research suggests that GcMAF can also cure or effectively treat Parkinson’s and Alzheimer’s disease and rheumatoid arthritis, as well as reduce cancerous breast, prostrate and kidney tumors. Stay tuned as Natural News continues to uncover more on this investigation. Reblogged this on colwoody2's Blog. I have always KNOWN THERE IS A CURE FOR CANCER and that the fng pharmaceutical companies will NOT ALLOW A CURE to be allowed to go out to the billions of human beings as the pharmaceutical companies will loose billions of money it makes me sick that the twisted pharmaceutical companies can BE ALLOWED to do this when they can save thousands if people …what a disgusting world we live in ….that money can dictate to the pharmaceutical companies and the greedy hungry swine’s that cam do this …makes me feel sick to the stomach …THERE IS A CURE FOR CANCER I know of a person who got a cure for the cancer that this person had and the person shocked the dr’s ….they were so shocked they asked where the cure came from and that person DID NIT REVEAL her source as it was highly confidential and secret …..SAYS IT ALL !!! I hate this life and the corrupt people who live in this earth doing what they did and ARE STILL DOING if enough people went against the pharmaceutical companies then they would have no other choice but to cave in but with pharmaceutical companies being as powerful as they are its RIDICULOUS how can the people who are and work in the pharmaceutical company SLEEP AT NIGHT ffs !!!!!???? Ughhhh !!!! We need to FIGHT BACK AND PROTECT THE PEOPLE WHO have found a cure …NOW defy the pharmaceutical companies the bastards ….stand up and be counted . Very nice compilation. My hat is off to you. I have used 1st Immune GcMAF for a year now. They say there are no side effects; But, I was urinating blood for a day, after using twice the normal amount (to start off with). Macrophages in my kidney MAY have gotten overactivated? No one knows, or will they ever know. That’s the trouble with cancer. The disease grows (and dies) so slowly, it’s hard to ever associate cause and effect. Pet scans can not see micro tumors under 50mm. This is why the medical establishment clings to Chemo, Radiation and Surgery. If caught early, these treatments actually work. The internet is Humanity’s great game changer. With this tool, Human Guinea Pigs can step forward, and sound off (internationally) for the first time! Can I interview you for my blog? Let’s be intouch.